I've had take out from their Scarborough location a few times, but I'd heard they opened a location in Ajax! I knew it was good, so my mom and I went to see what their dine in experience had to offer. The lunch specials are cheap; how can you NOT go? $7.99 is the most expensive it gets on the lunch special menu available 11am-4pm. When we walked in on a Saturday afternoon, the staff seemed a little surprised; I guess they don't get many guests for lunch. It looked like most of the orders were for take out as there were no other dine in guests while we were there. The restaurant is pretty big and newly renovated, so it was a little awkward to be in there alone. I went with the Boneless Chicken Biryani and my mom went with the Malai Tikka. 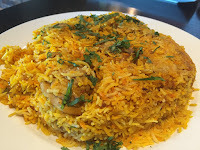 The biryani was HUGE. The picture is not lying, the rice takes up the whole plate! There were chunks of tender chicken hidden in the flavourful, spicy rice. They were nice enough to leave a pitcher of water on the table. I needed it. My mom's dish comes with rice, but she didn't want rice, so there is usually more food on the plate. 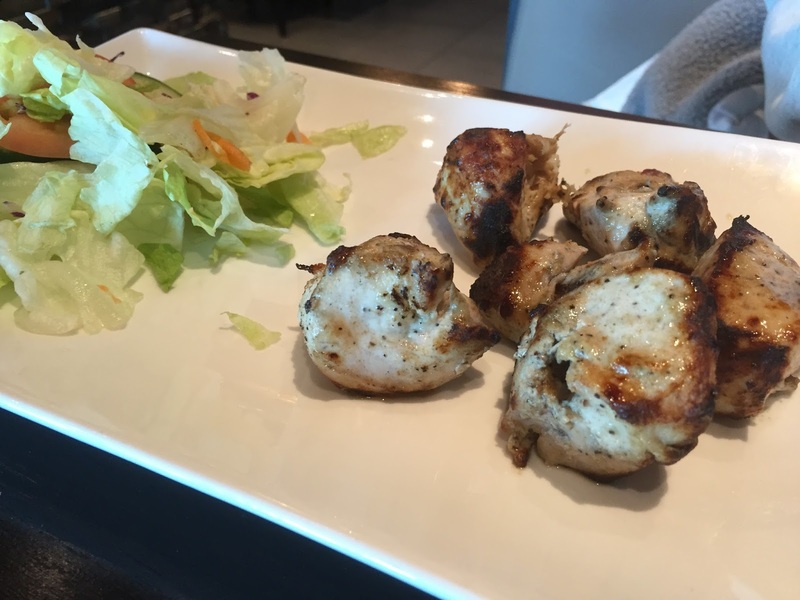 The Malai Tikka should come with more chicken and they could've beefed up the salad a bit since she didn't want the rice, but that's just me. The service was good and a little awkward. I think I'll stick with take out; that's what they're good at!